It’s hour 10 and you’re seriously thinking about jumping from your moving vehicle. You’ve spent 4 hours sleeping, 2 hours chatting about the weather, 2 hours listening to your iPod on repeat, and the remainder of the time wishing the scenery would change. There’s no radio and no cell signal because you’re out of range. The only worse thing would be breaking down here, in the middle of no-where. Road trips remain a classic international pastime – there is no better way to experience rugged coastlines, iconic highways, charming sea-side towns or even exotic locations like Iceland than from behind the wheel of an automobile. Flying means you miss the breathtaking scenery and premiere attractions along the way, and it’s an opportunity to spend quality time with family or friends. But what about those endless hours on the road? What about when the conversation dries up and the scenery turns grey? A road-trip shouldn’t have to be a bore! Our recent US road-trip saw us criss-cross through the country for two weeks, some days spending 16 hours on the road to get to our destinations by nightfall. Here are some tips we used for how to minimize monotony while on the road! If possible, opt for a car hire which has a power outlet or a/c adapter, and let your laptop entertain you for hours. Watch a movie, organize your pictures, write a short story, hell, write your life story! Most smartphones now have the ability to create a wifi hotspot, so if traveling within your own country (don’t turn on data roaming if traveling internationally), you’ll have internet access…in the car. A wireless mouse is a great purchase in this instance as they work on virtually any surface! Plan to take the scenic route – that’s the point of a road-trip! This may not be the fastest or most direct means for reaching your final destination, however odds are it will be far more interesting, far more entertaining, and you won’t even notice the extra time it took. Everyone has to eat – consider planning your road trip around food – for instance the South Florida Burger Road Trip. Why stop at a gas station for snacks when you can plan ahead and include a lunch stop at a gorgeous picnic pull off, or a fabulous fish & chips shop by the sea? When choosing your route be aware of car hire small print – during a recent road trip along the US/Mexican border our rental agreement prohibited us from taking the car into Mexico. 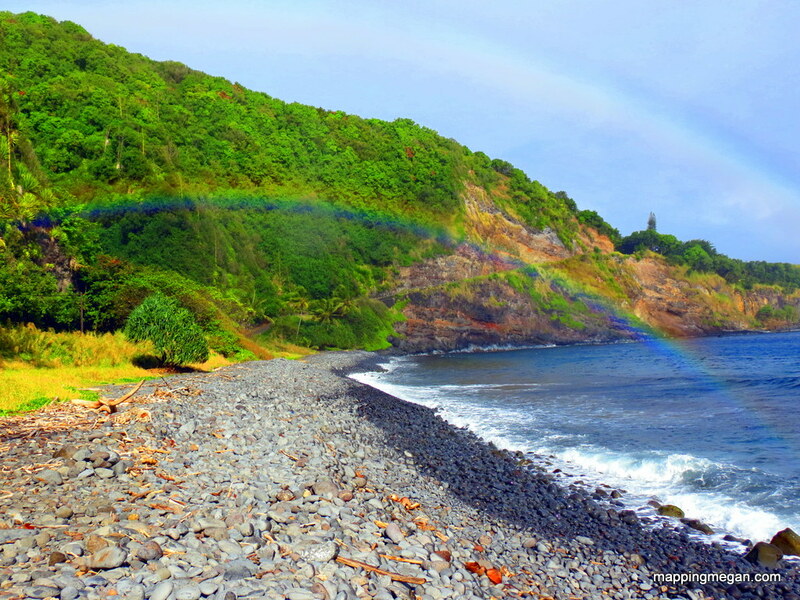 The road to Hana, Maui. Hawaii’s most famous road trip. Depending on your route, you may not be able to pick up a radio signal during certain portions of your trip. Listening to music is uplifting and entertaining – reflect on your life, dreams and passions, daydream to the songs, scream the lyrics to Katy Perry’s “Roar”. Adding a soundtrack to your travels makes a road-trip entertaining and keeps spirits high! If money is no obstacle, buy a satellite radio package. Car games are not restricted to children. They are an incredibly entertaining way to pass the time for both adults and adults who think they are children! This game is best suited to a road trip throughout the US – photograph/spot as many different state number plates as possible. Of the 50 States in the United States we currently have photographs of 48…we became so addicted to this game that we may have tailed a car from Oregon for half hour in our opposite direction just to get close enough to snap a shot! But remember – don’t tailgate! This game ended up being the highlight of our trip! The rules are simple – every time you see a yellow car you have permission to punch another person while proclaiming “yellow car!” Potentially put this game on pause when traveling through New York City for the sake of intense bruising! 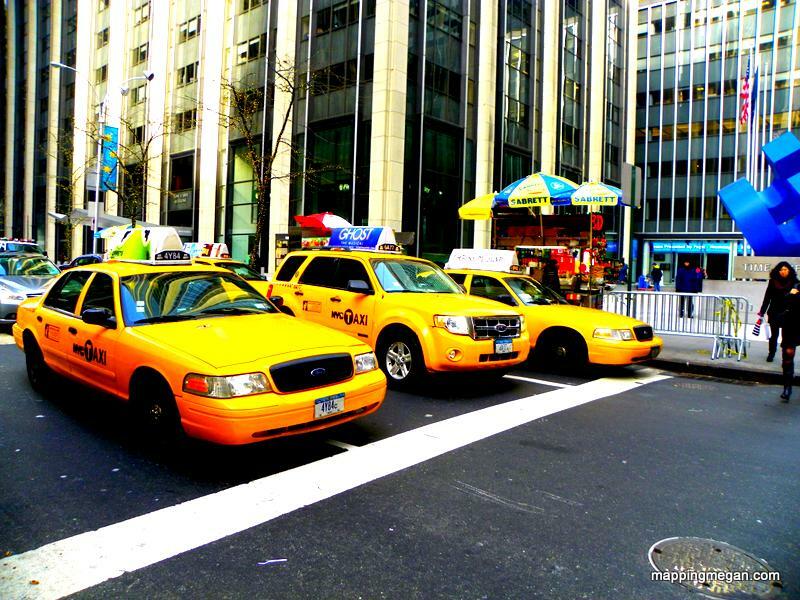 New York City – put the yellow car game on pause here! A road-trip is a fantastic opportunity to catch up on reading. Fully stock your kindle before your trip, or bring along those dusty novels you’ve been telling yourself you’ll eventually get to. Books are a fantastic way to pass the time – just don’t get car sick and throw up everywhere! Taking a road trip with someone will be the ultimate test to your relationship. If possible, travel with someone you get along with. What sounds like incredibly straight forward advice is often overlooked, and can make or break what should be a fantastic and stress-free holiday. Can you put up with the person in question for 16 hours in a confined space? Do you fear for your life every time they’re seated behind the wheel? Do you have similar music tastes? Do you want to hit them every time they open their mouth? These are questions you should ask yourself before agreeing to a road trip with them! I wish you the best of luck with the license plate game – extra credit if you get Hawaii on the mainland :D! I am all about the car games! They’re truly the best! I could dedicate a whole post just to car games!! On our recent six-hour road trip to Atlanta we played a game of looking for letters on signs with our son. We were in an area with few billboards so we included letters on trucks, too. He enjoyed it and it helped me from getting sleepy while driving. COncentration games like that are always a great way of keeping your mind active and preventing fatigue. It really does make a car trip fun as well – regardless of how straightforward or simple, I’ve found anything which you can make competitive in nature will generally hold people’s interest! I’ve never been on a proper road trip, but driving back and forth from uni took a good 6 hours. I love all the games you mentioned (esp. the plate game) but I also just love having someone along for the ride to talk to. It always makes it fly by! Ouch! I would definitely call a 6 hour drive a proper road trip – I think most of our days we try and max our time on the road to about 6 hours – often we’ll drive up to 10, and have once or twice pulled through the night, but generally about 6 hours of driving with breaks for sightseeing. We have to get you on a roadtrip! Great piece! We road trip often and have explored 8 countries by road to date. I’ll be booking marking this for our next adventure! Road trips are one of my favorite forms of travel as well – they’re just so much fun! Glad to have helped with your entertainment!! I get bored with Eye Spy after I lose the first few rounds…which generally only takes about 15 minutes! The wifi hotspot was seriously the best thing they ever invented. 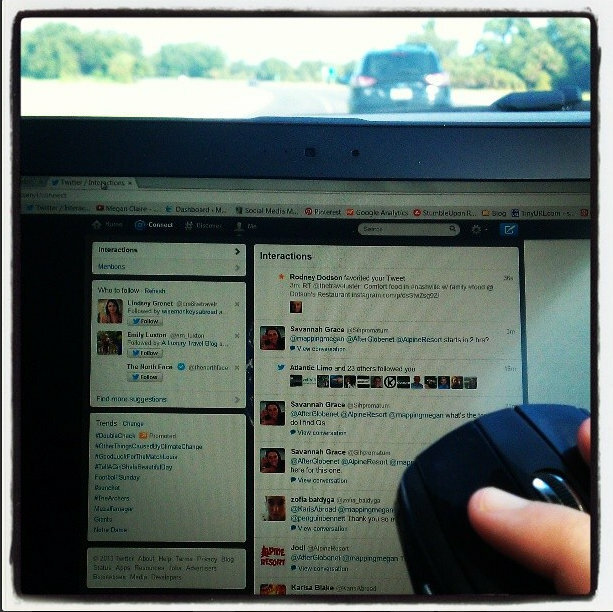 So handy as well for catching up on work while stuck in the car with a few hours to kill! We play a lot of games and such on our road trips, but our favorite new thing is to bring Books on CD or iPod and listen to them. We took 3-4 with us for our road trip to NYC last year and it made the time pass a lot more quickly. That’s a really neat idea, and one I hadn’t thought of. We have a few road trips coming up this May, so might give audio books a go! Just have to find one we both enjoy :D! LOL, definitely agree with the last tip! Being stuck on the road with a bad travel partner is always a challenge. Great tips–we always love road trips! Yes it is! 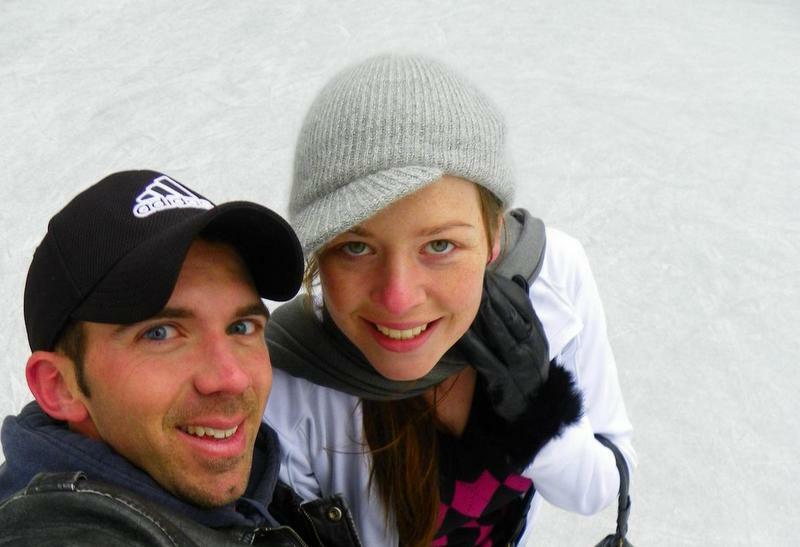 Thankfully I got lucky with a travel partner who I can stand and who can stand me…most of the time anyway!! Thanks for these tips! Next month we’ll leave for a two weeks-trip on the road… your games will be very useful! Happy travels! Any time! Let us know if you think of or find any other great games while you’re on the road … always open to new forms of entertainment! !